We’re only a few days from finding out if La La Land is truly the greatest film of all time at the Academy Awards, but the movie is still picking up as many trophies as it can along the way. Today, Damien Chazelle’s film can add yet another award to its collection, with The Wrap reporting that La La Land has won the Excellence In Contemporary Film award from the Costume Designers Guild. Now, the Costume Designers Guild obviously only cares about one specific aspect of a film and The Wrap points out that the winner of the contemporary category has never gone on to win the costume design Oscar, but this could be the start of a new trend where the Costume Designers awards are somehow able to predict the Best Picture winners. That seems unlikely, but you never know. Anyway, La La Land wasn’t the only film to get a prize this time around. Unlike pretty much every other awards thing, the Costume Designers Guild divides films and TV by wider genre-style categories, so something more ornate and elaborate doesn’t necessarily have to face off against something plain and realistic. 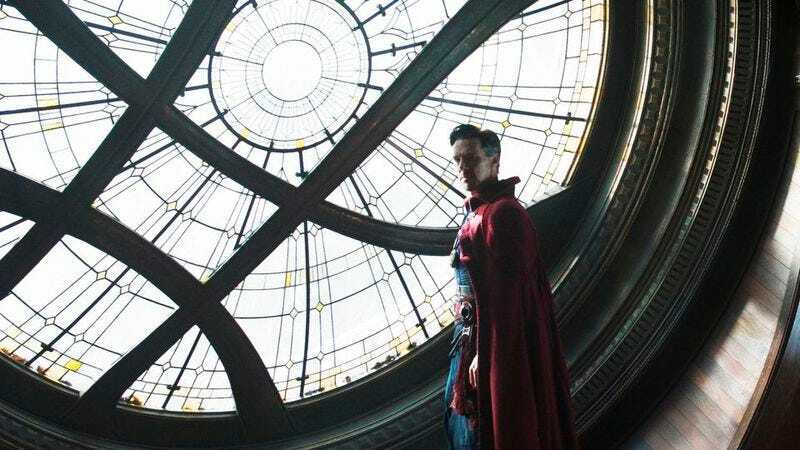 Because of that, Doctor Strange was able to win the Excellence In Fantasy Film award, Hidden Figures was able to win Excellence In Period Film, and Game Of Thrones won Outstanding Fantasy Television Series.